The Rev'd Dr George Westhaver joined Pusey House in August, 2013. He grew up near Halifax, Nova Scotia, on the East coast of Canada. He studied philosophy and anthropology at McGill University, Montreal, and International Development Studies at St Mary's University in Halifax. He then read for a Master of Divinity degree at Wycliffe College, one of the member colleges of the Toronto School of Theology. After ordination in 1997 George served in Cherry Hinton with Teversham and in the Ramseys and Upwood (Diocese of Ely), before moving to Oxford as Chaplain of Lincoln College and Assistant Minister at St Michael at the North Gate. His last post was Rector of St George’s Round Church, Halifax, in Nova Scotia. 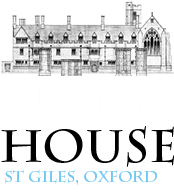 George completed a PhD at the University of Durham under the supervision of Professor Andrew Louth, on E. B. Pusey’s unpublished lectures, ‘Types and Prophecies of the Old Testament’. His research interests include E. B. Pusey and the Oxford Movement, the allegorical interpretation of the Bible, and the artistic expression of Christian doctrine. George is married to Karen and they have two daughters, Clara and Charlotte. The Rev'd Mark Stafford joined Pusey House in September 2014. After graduating from Liverpool University in Modern Languages, and from National Circus Schools in Paris and Bristol, he spent the best part of a decade as a Circus Performer, before running away from the Circus to join the Church. Mark trained for Ordination at Ripon College, Cuddesdon, and has served as Assistant Curate in the Parish of St. Barnabas and St. Paul, Jericho, and as Junior Chaplain at Merton College, since being ordained. Before coming to Oxford, Mark was the founder and Director of the Youth Charity 'redthread', and lists among his interests football, duelling weapons of the 18th Century, and Group Analytic Psychotherapy. He is currently part-way through an MA in one of these disciplines. He is married to Lizzie, who is a Research Nurse - they have two young children, and are both studying the effects of chronic sleeplessness on the human nervous system. Anna James became librarian and archivist of Pusey House at Christmas 2014, moving all the way across the road from the Angus Library at Regent’s Park College, where she worked as antiquarian cataloguer on historic Baptist collections. Before this, she worked in a variety of roles at Lambeth Palace Library for 8 years, mostly focusing on the historic library of Sion College. Anna studied for both her Masters in Library and Information Studies (2007) and her undergraduate degree in Classics (2003) at University College London, and is currently studying for an MLitt in Archive Management at the University of Dundee alongside her work in Oxford. She edited the Chartered Institute of Library and Information Professionals’ (Cilip) Library and Information History Group newsletter from 2014-2017, and is the training co-ordinator for the Association of British Theological and Philosophical Libraries. David Bannister In addition to his duties at Pusey House, David Bannister currently holds the post of Organist to the Cathedral Singers of Christ Church, Oxford, where he accompanies the choir in daily sung services out of term. He has served as Director of Music at St Peter’s Wolvercote (2011-16) where he was privileged to have been involved in the commissioning of a brand new pipe organ from Dorset based craftsman Robin Jennings. Following on from this he became Choir Director at St John’s College, Oxford, a post which he held for for the 2016-17 academic year. As an organist, David has performed and recorded with a wide range of groups including, amongst others, The King’s Singers, and Charivari Agréable. He is the Artistic Director of Vespri Segreti, a professional Oxford based vocal ensemble which exists to perform a wide range of early and contemporary repertoire. David continues to study with Paul Spicer (choral conducting) and Stephen Farr (organ). ​Laurence John is organist of Pusey House, a post which he combines with his role as senior organ scholar at The Queen’s College, Oxford. Before coming to Oxford, he was organ scholar at Hereford Cathedral where he regularly accompanied the cathedral choir and helped with the training of the boy choristers. Laurence has worked as an organist, pianist and harpsichordist with a number of the country’s leading orchestras, including for a performance as the soloist in Saint-Saëns’s ‘Organ’ Symphony with the City of Birmingham Symphony Orchestra, and has been the accompanist for tours to Belgium and America. Ann Chippindale was born in Accrington, Lancashire. She moved south to read Chemistry at New College Oxford remaining there until 1998, first as a doctoral student and then Research Fellow. Her research interests lie in solid-state inorganic chemistry and crystallography. Ann is Secretary to the Friends of Pusey House and a Vice President of the Society for the Maintenance of the Faith. When not addressing envelopes and washing up at Pusey, she is tutor in Inorganic Chemistry at Worcester and Pembroke Colleges in Oxford and Reader in Solid-State Chemistry at the University of Reading. Richard Keeble was born and raised in Harrow, North London. From 2014-2017 he studied Theology at King’s College London, graduating with first class honours and the Associate of King’s College. He was awarded the Plumptre Prize for English Literature, the Sellers Prize in Christian Doctrine and the Bishop Collins Memorial Prize for Church History. Reflecting on his Anglo-Catholic upbringing, Richard now hopes to explore the wealth of this tradition at Pusey House and test a vocation to the priesthood. In the role of Sacristan, he strives to preserve the beauty and unique character of worship at Pusey, whilst welcoming new people to the life of the House. His interests include sketching, films and ecclesiology. ​Petter Kringberg Hailing from the northern parts of Sweden (almost 400 miles north-west of Stockholm), Petter has studied and worked in both Sweden and the UK, as an accountant, Tourist Guide, Verger and Parish Administrator. Despite having lived in Stockholm for more than 15 years, two Anglo-Catholic parishes in Pimlico, London, remain his spiritual home. Petter enjoys history, reading and travelling and is very much looking forward to exploring a possible vocation to Holy Orders while immersing himself in the life of Pusey House for the coming academic year. Eric Prachar Before coming to Pusey House, Eric moved to the UK from Canada and spent the last five months as a live-in care assistant at L'Arche Bognor Regis, supporting adults with learning disabilities. Immediately prior to that he graduated with a Master's of Divinity from Huron College in London, Ontario, and also has a Bachelor of Arts in Philosophy. He is coming to Pusey House in preparation for a title post in the diocese of Chichester to gain experience in the Church of England, particularly the catholic tradition. He is most looking forward to participating in the daily discipline of prayer, study, and fellowship in the historic and cultured city of Oxford. Philippa Taney started her working life in libraries across Oxford, predominantly in the Sackler and Taylorian libraries and more recently for the Bodleian Library after graduating from South Bank University with a degree in English Literature and Social Sciences. Her previous roles have been a mixture of technical services – supervising cataloguing, acquisitions and classifying – and reader services. With twenty years of experience behind her she is now looking forward to getting her teeth into an integrated role at Pusey House and finding out more about its fascinating collections and history. Isobel Galek grew up on the south coast of England and began to love books from an early age. She studied BA English Language and Literature at Keble College, Oxford, and finished with first class honours, having won the Robin Geffen prize for English at the end of her first year. Whilst at Pusey House working as a Library Assistant on the cataloguing project she hopes to get a better idea of her own future career, although she is planning to work with books (and their contents) longer term, hopefully in an academic setting. Her interests include reading, especially literature and history, and writing.